CANASTOTA, NY - FEBRUARY 9, 2019 - The International Boxing Hall of Fame announced today hard hitting 1970s heavyweight star Earnie Shavers will attend the Hall of Fame’s landmark 30th Anniversary celebration during the 2019 Hall of Fame Weekend, June 6-9th. Considered by many as the hardest puncher in heavyweight history, Shavers was a top contender of the talent rich 1970s heavyweight division. During his career he compiled an impressive 73-14-1 (67KOs) record and challenged both Muhammad Ali and Larry Holmes in world title bouts. Shavers registered wins over Joe Bugner, Jimmy Young, Jimmy Ellis and Ken Norton among others. The Class of 2019 includes two division world champions Donald “Lone Star Cobra” Curry, Julian “The Hawk” Jackson and James “Buddy” McGirt; welterweight champion Tony DeMarco; matchmaker / promoter Don Elbaum, referee / judge Guy Jutras, publicist Lee Samuels, broadcaster Teddy Atlas and journalist Mario Rivera Martino. An impressive list of over 35 boxing greats from the United States and abroad, including five-time world champion Vinny Paz, junior welterweight star “Irish” Micky Ward and Hall of Famer Carlos Ortiz, are scheduled to participate in the 30th Anniversary celebration. For more information on the Hall of Fame’s 30th Annual Induction Weekend please call (315) 697-7095, like the Hall on Facebook and follow on Twitter and Instagram. Central New York. 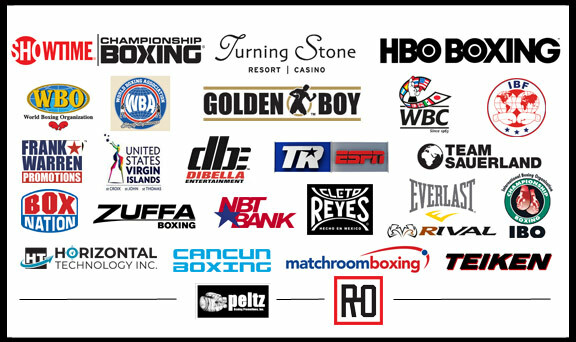 The program includes a series of nationally-televised boxing events at Turning Stone, culminating every year in June with an elaborate and bigger-than-ever International Boxing Hall of Fame Weekend with several exciting events in Madison County and Oneida County throughout the four-day celebration.